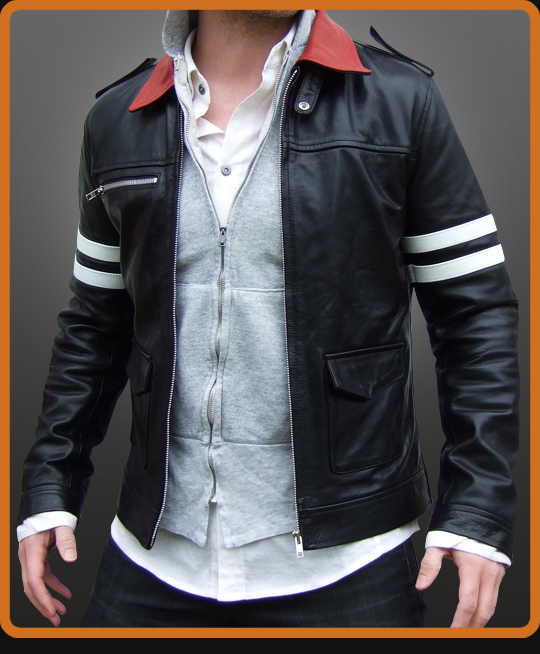 Men’s leather jacket replica inspired by Alex Mercer character in Prototype video game. We played this game until the early hours to make sure every detail is as close as possible to the actual (virtual) jacket. Check out the embroidered double dragon design on the back - we are pretty chuffed with this part. The leather jacket doesn't come with a hoodie or the ability to shapeshift. Shame that. Available in Black with Red detail.